H and I eat quite a lot of kale. I tend to cook it and chop it finely and incorporate it into dishes. In this recipe is it left raw and simply torn into pieces and dressed. H is unlikely to eat it this way but he will try it and thats the main thing. He will eat the sweet potato, onion and he absolutely loves parmesan cheese. Saute the onions in the same pan until golden and crispy. Season and set aside. For the vinaigrette, add the oil, balsamic and parsley to a small bowl and mix to combine. Add the kale to a bowl and add the vinaigrette. Give it a good toss to coat. 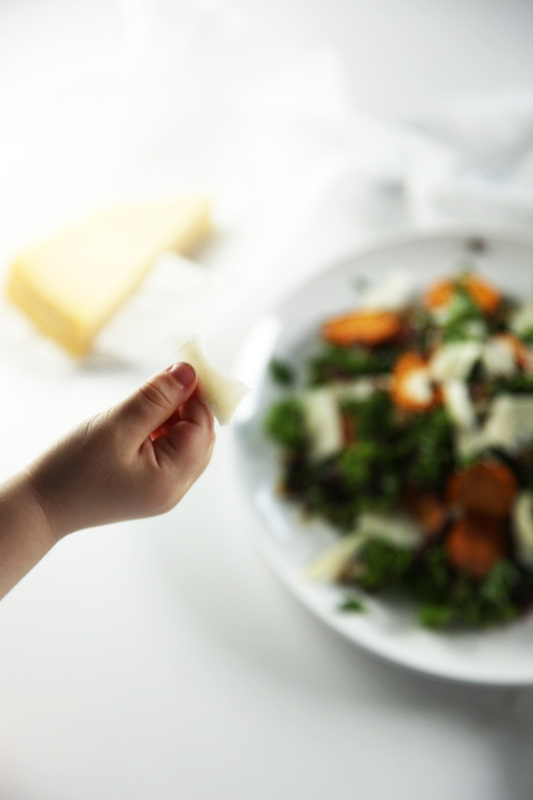 To assemble your salad add the kale leaves to a serving plate and top with the sweet potato, crispy onions and parmesan cheese. Best serve straight away. Love this! A really unique combo…would look beautiful on my Christmas table! Thanks for the great recipe! Kale is my favorite green and I love your take. I could easily eat salad everyday with beautiful recipes like this one. Some of my favorite ingredients in this lovely dish! I’ll bet it’s very healthy too. I love this! It looks so healthy and also delicious. 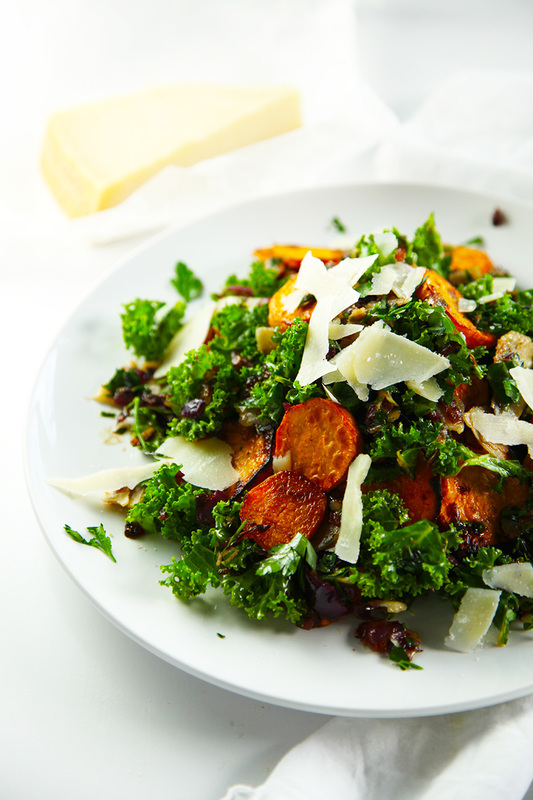 Sweet potato and kale are so great together. Those crispy onions!!!! I love this, and the parsley too! Photos look fabulous, recipe looks so tempting!